The Big Easy is anything but for students who take on the challenge of post-Katrina recovery. 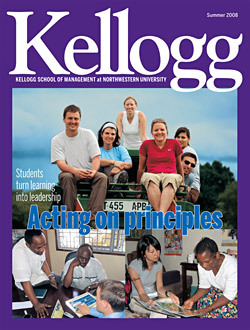 On the cover: Kellogg students put theory into practice through the school's many experiential learning opportunities, including Global Initiatives in Management, an intensive field research excursion. These students recently traveled to Tanzania where they shared their management insights with members of local health organizations who are working to combat HIV/AIDS.